To qualify for a VA loan, your lender will need to obtain your Certificate of Eligibility (COE) to prove that you are entitled to VA benefits. Your lender will need your DD-214 in order to request and receive the COE. Usually, the lender can request a COE straight from the VA WebLGY site, which is only available to lenders. 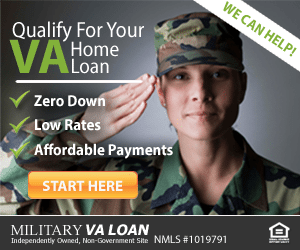 Click here for a free VA loan rate quote. As part of the loan application process, your lender may request that you complete a COE request form 26-1880, which details your service history. If you have any questions about the COE or DD-214, call (866) 240-3742 to speak with a lender who can assist you, or complete the request online. If you are interested in purchasing a home with a VA loan, it will benefit you to get pre-approved. 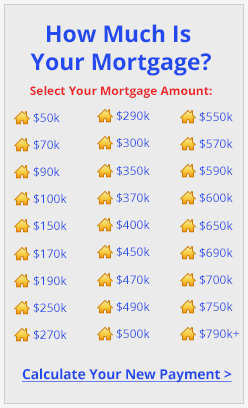 This will let you know the maximum loan amount that your income allows you to qualify for so that you can know your price range for homes. Shop for your home with confidence knowing that you have gone through the approval process. If you’d like to get pre-approved, call (866) 240-3742 to speak with a knowledgeable lender, or simply complete the contact request form. Jonnie and Sharlene decided to purchase their first home after moving to this area. Because we both attend the same church, they asked me to assist them with the loan. Jonnie advised me that he had been in the Air Force Reserves as a Captain. I asked how long he had been in and he said about 8 years. I asked him for is DD 214 and any other information he might have to help me get his Certificate of Eligibility, also known as the COE. Using the automated certificate of eligibility portal that’s available to VA lenders, it came back saying we had to manually request the certificate. Sometimes this happens. Often, I can get a COE in a few minutes online; sometimes I need to upload a few documents to VA’s system. Even with the upload, getting a COE typically doesn’t take more than a few days. But at this point it got frustrating for Jonnie and Sharlene. We uploaded the required information to the website, but then they came back and asked for what we thought we had already given them. Finally, after getting someone on the phone that would explain things to us, we found that although Jonnie had the time in the service, he still did not qualify for the certificate. If you have served 90 consecutive days of service during wartime, you will qualify. While Jonnie had a DD214 for 90 days of service, the service was for training, and this is not allowed. You can be eligible if you have served 181 days of service during peacetime. If you are a Reservist, you can qualify if you have served more than 6 years. While Jonnie had the 6 years and had been honorably discharged, Jonnie did not drill on a regular basis, and therefore did not qualify because he did not have sufficient retirement points to make up the 6 year period. In some cases, you can be eligible if you have not served, for instance, if you are an un-remarried spouse of a Veteran who died from a service connected injury or disability. Eligibility can also be established for surviving spouses of POW/MIA servicemembers. The good thing is that Jonnie and Sharlene were able to qualify for a different type of loan. However, we could have found out a lot sooner had they kept good records. If you are going to apply for a VA Certificate of Eligibility, you should start now with putting your information together. Here are some documents you should start putting together now to be ready when that day comes. If you are currently on Active Duty, you will need to get a letter from your unit to verify your current status in the Military. You are eligible after active status for at least 90 consecutive days. At some point this will be a minimum of 181 days once an ending date for the Persian Gulf War has been established. If you are a Reservist, and you are drilling, you will need a letter from your unit on your status. If you are retired or no longer in the Reserve Program, you will need to have received an honorable discharge and placed on the retired list. You will need to have your points statement covering at least 6 years of creditable service, and evidence of an Honorable Character of Service. Your point statement has to have at least one Active Duty point or Inactive Duty (drill) during each 12 month period. To learn more about the specifics of eligibility, click here. You might want to start putting the required information together now and putting it into a file so that you have it when you are ready. It is very difficult and time consuming if we have to go to the National Archives to get your information. In some cases, they may not have all the information you are looking for, or, in our case, they were not able to read it when we forwarded it to the regional Loan Center. I was once told that that the only person that can take care of you is yourself. That’s certainly the case when talking about VA home loan eligibility. By putting together the information you need now, your loan experience will be a breeze! Happy buying!!! More Questions about the COE? Watch this video for more information on VA home loan eligibility and the COE. Ron Bennett (NMLS 57792, MLO-57792) is a Sr. Mortgage Advisor in Washington State. Contact Ron at 253.561.9704 and visit him on Facebook. Ron’s military experience: last rank – Master/First Sergeant (E-8); 35 years of service; U.S. Army.